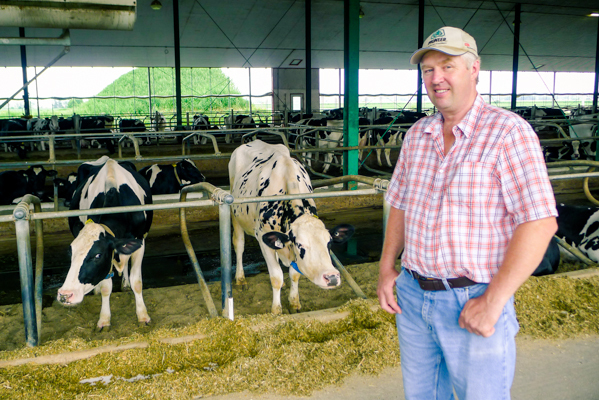 Ron Versteeg with his polite cows. Photo by Jeremy Nuttall. 04:00 — Today’s top news headlines from local to global current affairs — radio news roundup you won’t hear anywhere else. Including a look back on the 70th anniversary of the atomic bombing of Hiroshima and Nagasaki. 28:00 — Interview with Jeremy Nuttall (Parliament Hill reporter, TheTyee.ca) on the TransPacific Partnership, outraged dairy farmers, and what to watch out for in the election’s first leaders’ debate. 45:00 — Interview with Travis Lupick (reporter, The Georgia Straight) on fentanyl overdose deaths, media coverage of privileged drug addiction and prescription heroin.